Now Lifestyle Review – Is It Another MLM Scam? You are here: Home / MLM Reviews / Is Now Lifestyle Another MLM Scam? I was just checking my email and someone sent me a link for this. It’s a new health and wellness MLM program called Now Lifestyle that has been in the pre-launch phase since about a year ago. Besides the fact that this business opportunity is in an industry that I’m not too fond of, there are a couple of things that threw up red flags. There were also a couple things about it that I could live with too but nothing that jumped out at me to say that I should definitely try this out or recommend it to others. In this article, I’m going to look at the new Now Lifestyle MLM and try to determine whether or not it’s a scam, if it’s a good opportunity you can make money from or if it’s worth the try. I know personally that I’m not going to become a member but maybe you’re reading this review because you’re interested in signing up. What is Now Lifestyle All About? As I’m writing this, Now Lifestyle is in prelaunch and calling for interested persons to become members for free. A year ago, you had to pay $49.95/year to pre-enroll so that you could start building your downline but right now to become a reseller of the program, you’ll need to pay $24.97/month or $250.00/year. The company was started by Joel Therien, who like most MLM startups, has been involved with other MLM companies before. Therien previously started other MLMs such as GVO, Pure Leverage and Got Backup. The more famous one here is probably either GVO or Pure Leverage, neither of which has had any positive impact on this affiliate marketer. Now Lifestyle appears to be actually launching this week and if the countdown in the members area isn’t an urgency thing then they’re launching in the next 13 hours. The compensation plan of an MLM can be the determining factor in a person’s decision to sign up so we need to see how members of Now Lifestyle are going to get paid. According to the company site, there are two ways. There’s the 100% commission payout on all products and memberships and then there’s a binary compensation plan. The company claims that they’re giving 100% commissions on these products but in their actual compensation plan it’s explained as 50% of sales on each product and they’ll give you 50% on your downline’s overall sales. The way I interpret that is you’re only getting 50% commissions because if you don’t have any downline or if your downline doesn’t produce any sales then you can’t get the matching 50%. Maybe someone can clear this up because I’m confused already. There’s always a catch to these 100% commission products and it seems this one is no different. But 50% is fair enough already so why complain. This is the other part of the compensation plan and I’ve never been good at explaining this type of plan so take a look at the chart below. From what I understand, you’ll need to recruit 6 students where you have two directly under you and two directly under each of them. This will earn you $20 and you can build each team infinite levels deep. When I look at the products and membership and the way the commissions are paid out, it just looks like the makings of a pyramid scheme to me. It doesn’t look like it would work very well in terms of revenue if your customers are not involved in Now Lifestyle. If all the customers are in Now Lifestyle then the opportunity is more lucrative because then you’ll get 100% commissions. If this is how it works, where all the customers are also Now Lifestyle sellers then you need to be aware of what the FTC website says about pyramid schemes. I’m not saying that Now Lifestyle is a pyramid scheme at the moment. They haven’t launched as yet but the way their compensation plan is laid out, it’s hard to see how it could turn out any other way. This is why I usually stay away from these types of opportunities. There’s always a fine line between what is considered a pyramid and what isn’t. I don’t want to have to wonder. Should You Join Now Lifestyle? To be honest, after checking out the compensation plan, I wouldn’t recommend it. However, I don’t think that it’s necessarily a scam because they do have some OK products that are consumable. I just think that most of the sales are going to occur within the organization and that leads to the building of an illegal pyramid scheme. If you’re new to MLM or online business in general then this opportunity is probably not for you. There are much better alternatives available. One thing I also noticed that turned me off was the involvement of Anthony Morrison, who I’ve written about before on this blog. The guy is not to be trusted and I saw on one of the Now Lifestyle promo pages that he was pushing this. Things like that make me very cautious. I really love affiliate marketing and I would suggest it as an alternative to Now Lifestyle. You’re not tied to one company and your income isn’t dependent on you building a team of people who might eventually drop out or do nothing. With affiliate marketing you have the freedom to choose your products and earn commissions on each sale. You can market products for years to come without worrying about the future of the company you’re promoting. If you’re considering Now Lifestyle because it’s a health and wellness MLM, then just find health and wellness affiliate programs instead and market their products via a website. To get started with affiliate marketing, I would suggest learning more about the process and following a step by step plan for building a stable internet business with free lessons from Wealthy Affiliate, a learning platform that I’m currently using myself. In the end, whether you choose to go with Now Lifestyle or the alternative, you’ll still need to learn how to market. After all, network marketing is marketing and most MLM companies do a poor job of educating their members. What are your thoughts on this Now Lifestyle company? Let’s talk about it in the comments below. I have to say the anual fee is not so bad, and as far as I’ve seen, there are no upsells… so looking good. But, in the end it’s an MLM scheme, so you need to drag people into it to ultimately make money, or be the best seller ever and really sell the product. I agree with you, affiliate marketing is the honest and long term way to go. I agree. I don’t think the fee is that bad either. The issue I have is that it looks like there aren’t going to be any pure retail sales and you need that to not be classified as a pyramid scheme. I definitely think that in the battle between affiliate marketing vs MLM, affiliate marketing wins by a mile. I was thrilled by the idea of getting to earn 100% commissions out of all sales made but being part of an MLM scheme, that is not a thing I want to get myself into after my past experiences with mlm programs. Can I get any other program that pays 100% commissions to affiliates without having to join or build ant downlines? Actually there are some affiliate programs that pay 100% commissions on JVZoo. They pay 100% on the front-end product and the vendor makes his money on the back end products. With these MLM programs that promise 100% commissions, you really have to read the compensation plan carefully because there’s always a catch. I remember the same thing happened with Empower Network a few years ago – they were paying 100% commissions but only on a number of sales eg. the 1st, 3rd and 5th sale in a cycle would get 100% commissions (something like that). The other sales would be passed up to your upline. Thanks a lot for this Now Lifestyle review. Actually, myself I am MLM fun at all, why because, to succeed in any MLM program, you would have ho have a very good marketing skills to be able to convince people and to sell their product. Also, another reason why I don’t like MLM’s is because you would have to recruit people on-board as your down-lines, who would equally have ho work hard to bring more people on – board before you can benefit from their referrals bonus. Also they make big promises to make you rich but the when you join the program then you will see the reality of it. I know what you mean. I joined an MLM once and I had no idea about marketing. My uplines couldn’t teach me either. I never learned anything about marketing until I started promoting products online. I’m not very fond of MLM schemes as well, despite their deceptive marketing tactics. This one does seem to have a low entry barrier but when you have to constantly recruit to build a downline that will provide you with a decent income, that’s when it gets into pyramid scheme territory. Another thing with MLM companies is most of the time they try and sell average products for ridiculous prices. It’s no wonder they don’t make any retail sales and have to rely on their distributors to constantly purchase their products. The sad thing is that they’re not even trying to make retail sales so their set up is their own undoing. The 100% commission rate always makes me wary and the way the compensation plan works out does look kinda pyramid shaped to me. I guess I could be wrong though. I’d be interested to see what exactly their products are all about – just for a laugh. I assume it’s a bunch of nothing much. Fitness plan, autoresponder, traffic. Those are the products and they can only be consumed by members of Now Lifestyle if I understand correctly. At least, that’s how they’re going to be marketing them anyways. I’m a director in LegalShield formally Prepaid Legal. I’ve used the services over a numerous if legal issues including student line issues. When I first started my business ibfound that most people who speak about pyramids has never had a network marketing business in their life for themselves one thing that my business mentor teachers on in our big events is that pyramids are illegal my business has been on the New York Stock Exchange and the Federal Trade Commission for years and years since 1972 to be exact so it behooves me when people stand by and make compliments that they really don’t have or are not educated on. a pyramid means that one person is at the top and absolutely nobody else makes money or is profitable in any way they stay at the bottom a business that is of a pyramid cannot be by any means registered with the New York Stock Exchange or Federal Trade Commission at all it always is a wonderful thing to research first before making blunt comments. This review isn’t about LegalShield or Prepaid Legal and the FTC has an entirely different definition for pyramid schemes. I have already been ripped off by a local MLM company and that itself was enough torture. Now when I realize that even Now Lifestyle is one among them it really annoys me thinking that all they want is to rip off people and just get rich that way. Have you tried Wealthy Affiliate? If it is a good option then I would surely join! I say if people didn’t like GVO or Pure Leverage then there’s nothing here to see. Now Lifestyle was started by the same guy who started the aforementioned MLM programs. In general I do not really like the business model of MLM, and it makes me concerned about Now Lifestyle. Do you know if tthe products the are offering ar any good? I guess that if I wanted to get involved with MLM it would be a good time to do it before the launch. But have tried it before and is not really my way of doing business. From what you explain about the compensation plan, it does also not sound so attractive to me. I do not like how it is claimed that you will get 100% commission when it is in fact not true. 50% is still good, but they should just be more honest about it. Yeah it just sounds like 50% to me although they’re giving a matching bonus on your downline sales. They do say it’s 50% when explaining the payouts. I don’t know if they products are good but from the demo videos I say they look OK. My issue with the products are that they’re only available to people who pay for a membership so then it looks like they’re building a pyramid. Hi Jay! Really great review on Now Lifestyle as I myself am interested in MLM marketing and that’s how I found your post! Anyways, although I am doing affiliate marketing, which is the one your recommended, is there any other MLM marketing that you think is legit and think that a beginner like me can enrol in? I’m sorry fernglow. I can’t really recommend any MLM’s although I don’t mind ones like Avon and the other ones that have “parties” that I’ve seen people actually use to earn an income buy making retail sales instead of focusing on recruiting people. Still I think that you’d make more money as an affiliate marketer. Thanks for the review but as it shows this will be MLM scheme as you are going to be making any sales . The fee isn’t that bad in reality. I just don’t like the whole “oh here it’s 100% commission” but it’s based on the assumption that you people under you and ect. It’s still not 100% commission even if you get paid the bonus for the people under you. and thanks for this review of Now Lifestyle. Joel has been around for several years, and I doubt that his is scamming anyone, even though I wouldn’t want any of it myself. Affiliate marketing is my cup of tea, and in fact Joel is the reason I learned about such a thing about 6 years ago. I was familiar with MLM, but had no idea of what was happening on the internet? I bought into some? MLM that required GVO hosting, but didn’t know what hosting was? Thought they were merely stealing money from me, and left, only later to find WA and learn about hosting, websites, and affiliate marketing. Thanks Joel! And thanks to WA for simple ways to learn everything I need to learn about making money online. Thanks for your thoughts on this Mike. Joel isn’t scamming anyone nor is Now Lifestyle a scam. However, I do have some issues with certain things presented about Now Lifestyle which I explain in the article. I think there are some aspects of affiliate marketing present in Joel’s MLM programs. You can refer people to buy and get a commission on each sale. The programs just have an MLM structured compensation plan in addition. Affiliate marketing is a much better business model in my opinion and WA is a leader in teaching people how to master it. I read your preview of Now Lifestyle with great interest. In years past I tried more than a dozen MLM programs with little or no success. Building a “committed” downline was very difficult to achieve. Based on my experience with MLM’s, there are definite advantages to being involved at the very beginning of the program. At the same time the risks are very significant to join at this stage. If anyone is seriously committed to the program and its products for the long term, it might be worth the risk. As you can see I tried more than once without success. The compensation plans, lack of proper and effective marketing education and the general structure of MLMs keep their members back. That’s why it’s so hard for people to find success with MLM. We’ll have to wait and see what happens with Now Lifestyle but I don’t see how this is anything groundbreaking or different. After reading your review I went and checked out Now Lifestyle and I have to admit that $49.95 a year membership seems a bit of a con at the moment especially as you don’t know the sale price of the products, if there is any other personal purchases required and a lot of the data is sketchy. I thought that too. I’m not sure if you get the products with membership but the compensation plan suggests otherwise. There goes the same 100% hype again! I have been trapped by this claim before, and didn’t really think about it before joining it. I got my fingers burnt well enough not to fall for them again. Let me guess. Was it Empower Network? I think that’s the one that started the whole 100% commissions thing or at least the first time I heard about it. In affiliate marketing, I know that there are some products on JVZoo and Warrior Plus that give 100% commissions on the front end product. The vendor makes his money on the rest of the sales funnel ie. upsells and even future promotions to the leads you sent. As you probably already know mlm is a tough business to succeed in. But my experience with a binary payout system (which may not be typical) is that they withhold your commissions when your “legs” are unbalanced. Thanks. I’m sure that’s something many people don’t know about binary commissions. I didn’t. The other word I don’t like to hear about is “matrix” (unless it’s the movie). Thanks for the info on Now Lifestyle. It seems to me that a lot of these MLM companies over promise and deliver very little. I’ve never tried a company like this because to me they have a bad reputation. I would like to build a successful online business and the affiliate marketing you mentioned sounded pretty good. Does Wealthy Affiliate have a free trial that I can check out? Over-promise and under deliver. That is so true about not only a lot of these MLM companies but a lot of programs that promise to help you make money online in the internet marketing niche too. Still affiliate marketing is a solid business model. It’s not perfect but it works for me and a lot of other people out there. 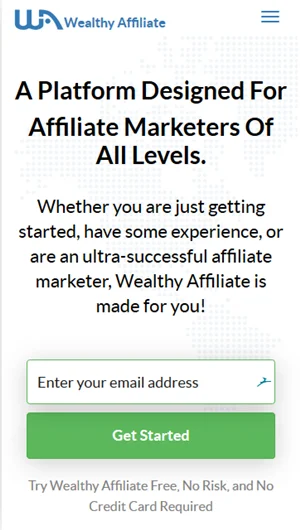 With regards to Wealthy Affiliate, they’re use a freemium pricing model which means you can just sign up and check them out without even having to use a credit card. You can keep the free account for as long as you like and have access to the beginner course. You also get two websites with your free account. If what Wealthy Affiliate offers works for you with the free account, then you will benefit more from the premium membership. You can check out my review here for more details as it’s a lot to spell out here in the comments. I think you’ll like it since you’re interested in affiliate marketing and there’s nothing to lose if you just get a free account. Thank you for this very fair and professional review. It clarified some concerns I had. I did trial the Now Lifestyle system including its Reseller program and decided it wasn’t for me basically for the same reasons you’ve outlined – i.e. most of the revenue comes from sales to your downline. You’re welcomed and thanks for sharing your brief experience with Now Lifestyle. Do you (or anyone reading this) know of the date when they’ll be officially launching? Right now it says they’re in prelaunch so I just wanted to know if anyone knows the actual date when they’ll be out of that phase. How do you know those members are actually making money? Are they making money selling Now Lifestyle products or are they making money just signing up other members? On the question about the law stepping in, there have been other programs where people asked the same question only for the program to get shut down much later on by the relevant authorities. There is a process and a lot of these programs just haven’t gone though those processes as yet. I don’t know about the training offered by Now Lifestyle but if you want to learn marketing, then check out the alternative program I mention at the end of the article. You can use the techniques you learn from that program to promote Now Lifestyle or build an online business that you can be proud of or even both. I can comment on mow lifestyle. They sell protein, fiber, and other health products. Resistance bands and gym stuff. They also have a program for you to goto their school to become a personal fitness trainer. Along with signing people up to only go through the diet and workouts to achieve a better body and lifestyle without any sales at all.